New Divetech Tempered Glass Lens PRO Cayman Wide Vision Swimming Mask & Snorkel. 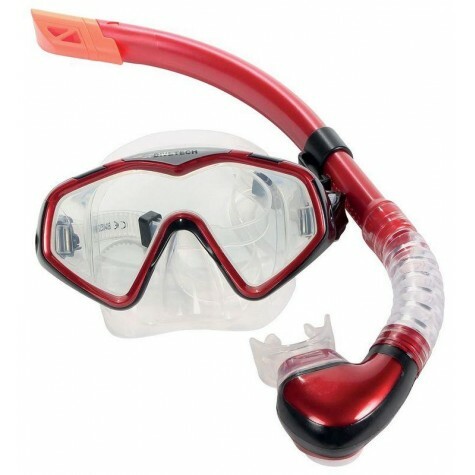 Divetech PRO Cayman Silicone Mask & Snorkel - Met Red - Black. Mask has large low volume tempered glass lens for wider vision. Auto-clips on strap for easy adjustment. Silicone face skirt and strap. Snorkel has semi dry top to reduce water entering and silicone purge valve to blow out any water that does. Silicone mouthpiece and adjustable mask Holder.